Acktar announced completion of its preparations for the industrial scale production of foils coated with its Metal Velvet™ ultra-absorbing black coating for use over the entire spectrum from the EUV through the FIR. This light blocking material can now be obtained in running-meters. Ram Magril – Chief of the Roll Coating Department at Acktar’s Kiryat-Gat factory – said: “Our mission was to ensure that this high-performance coating would be as accessible as a can of black paint while maintaining the unique and outstanding optical performance of Acktar’s directly-applied black coatings. 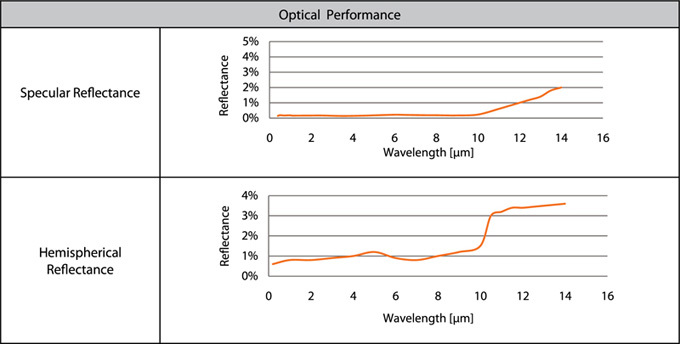 With specular absorptance as high as 99.99% and its wide-band performance, Acktar’s Metal Velvet™ coated light-absorbing foil is by far the best stray-light and scattered-light absorbing / suppressing material available to optical engineers”. The coated foil can be supplied with or without self-adhesive backing and either in roll or cut-sheet format. Pre-cut preforms can be prepared for high-volume applications. Of course – Acktar continues its service for the direct application of its black coatings to customer parts. Metal Velvet™ – developed by Acktar scientists several years ago – may be the “blackest” inorganic material on earth with a total hemispherical reflectance under 1% across the entire EUV to FIR range. The coating shares with other Acktar high emissivity coatings a unique list of attributes – including ultra-high-vacuum compatibility, extremely low outgassing and high thermal stability from 4-623˚K – which makes them eminently suitable in a wide variety of application areas – terrestrial, airborne and satellite-borne optical systems. Examples are: Telescope housings and baffles, light shields and cold shields for IR detectors; optical packaging; laser systems; inspection systems; medical devices; instrumentation; and passive thermal management – among others. Acktar’s coated foil is easily applied by the end-user to virtually any surface – metals, glass, ceramic, polymers and more. The foil comprises four layers: a release liner, an adhesive layer (optional), a metal foil substrate coated with a very thin black coating layer, and a removable surface protection film. 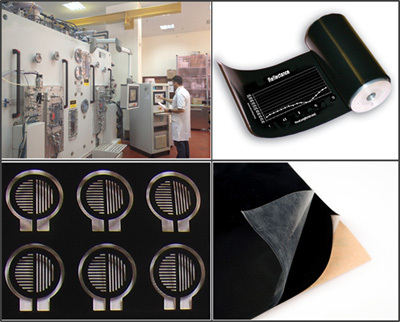 The adhesive and foil substrates are available in various options to suit application requirements.